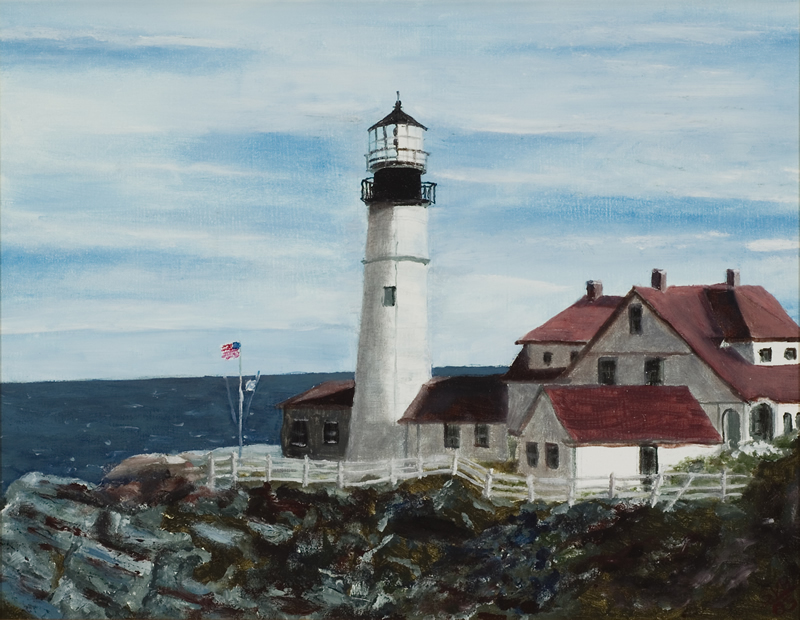 Portland Head Light, Portland, Maine. I used a picture from a calendar for a reference. Many of these early oil painintgs were exercises for me to learn how to paint. This is my ninth painting.